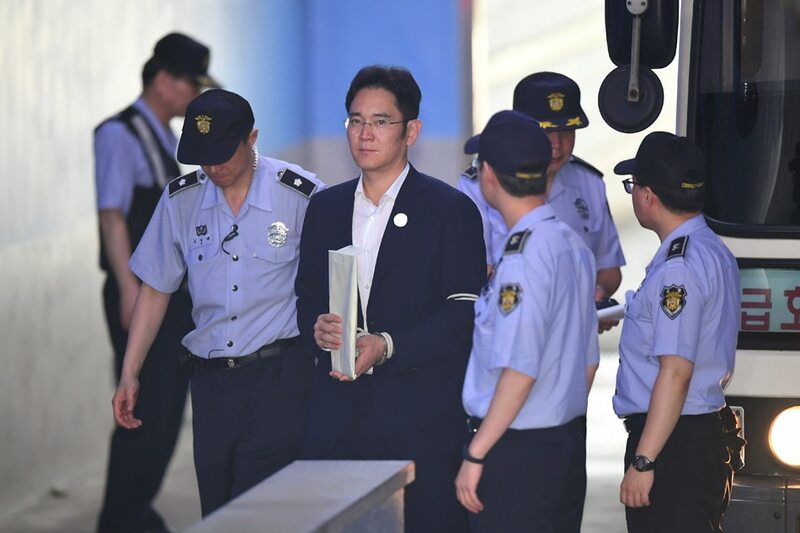 SEOUL – Lawyers for the jailed heir to the Samsung empire filed an appeal against his conviction on Monday as South Korean media divided on the ruling that put the country’s top business leader behind bars. Lee Jae-Yong, the de-facto head of Samsung Electronics, was found guilty last week of bribing South Korea’s ousted president Park Geun-Hye and sentenced to five years in prison. The official website of the Seoul Central District Court showed that Lee’s lawyer Kim Jong-Hoon filed an appeal on Monday but gave no further details. Prosecutors have also said they will appeal the court ruling — to seek a harsher punishment for Lee. But another Samsung Electronics vice chairman, Kwon Oh-Hyun, called the situation “regrettable” in a statement to employees of the world’s biggest smartphone maker, the Yonhap news agency reported. “We should all steadily wait until the truth is revealed,” it cited him as saying, urging them to “gather power and wisdom to overcome the unprecedented challenge”. South Korea’s media have divided over the unprecedented imprisonment of the country’s most powerful tycoon, with some newspapers condemning the ruling and others accusing their rivals of “kneeling” before the rich. Samsung is by far the biggest of the chaebols, as the family-controlled conglomerates that dominate Asia’s fourth-largest economy are known, with its revenues equivalent to around a fifth of the country’s GDP. Chaebols were instrumental in South Korea’s economic rise but have long had murky connections with political authorities and are also known to wield considerable influence on the media, potentially courtesy of their giant advertising budgets. The JoongAng Daily, a company with close family ties to the Samsung Group, said in an editorial that an appeal by Lee would have “a good case”. Samsung was the first South Korean company emerge as a top global firm and it would be “worrisome” if the verdict proved “a negative turning point” for it, the paper said, unable to make key business decisions for years with its leader in jail. But liberal papers heralded the ruling and slammed other media outlets for siding with the country’s rich. The Hankyoreh paper expressed concerns about the “amicable attitude towards Lee and Samsung” from “conservative media and business papers”. Previous: SEA GAMES: Did new routine cost Michael Martinez the gold?